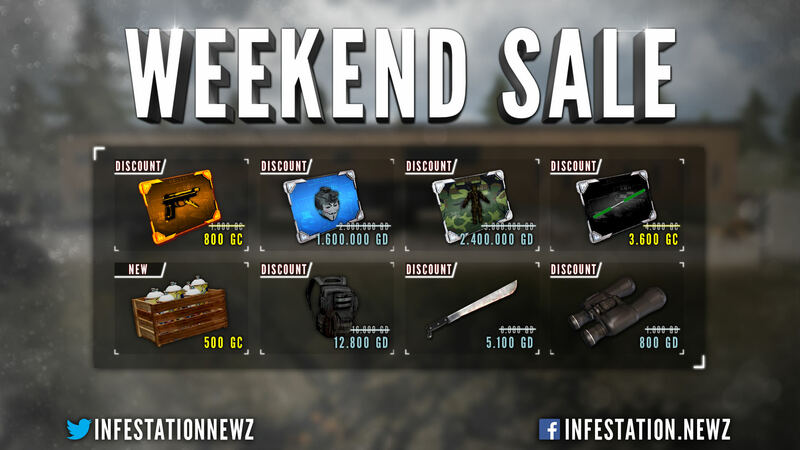 Today it's Friday and that means time for another weekend event! Are you ready? We are very excited to announce this weekend's weekend event. 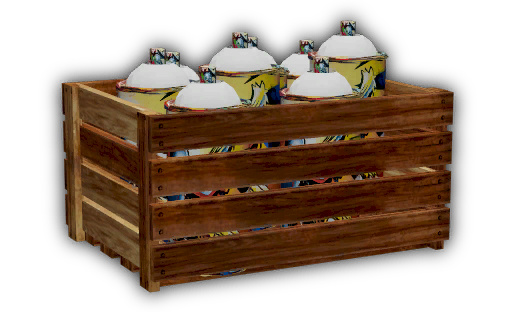 During this weekend event, we are going to release the Spray Box, which contains all available sprays and 3 new once. You can check the content after release while looking it up in the in-game marketplace. Double Speed and High Jump are going to be activated on the PVP map "Clear V2" during this weekend. You can find the PVP section on Open World. We are going to add special loot to Battle Royale and also double the skinbox reward. With special loot we are talking about adding VSS or flash bangs etc everywhere, so you guys can go crazy. 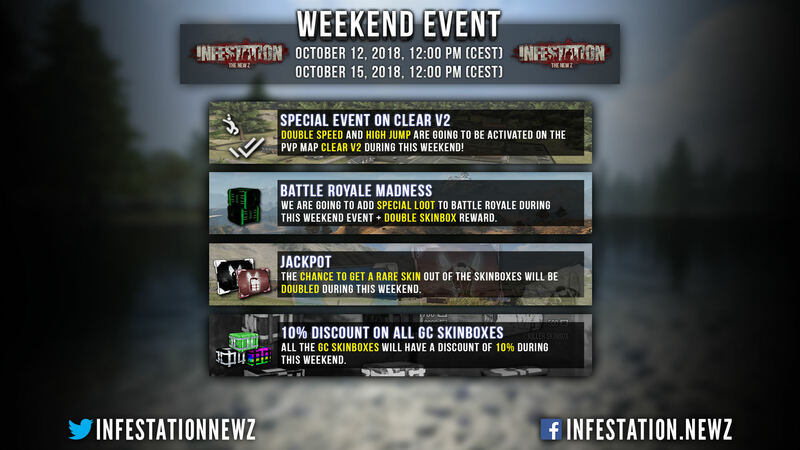 During this weekend we are going to double the chances of getting something rare out of the skinboxes. Example Heavy Armor Fallen Angel will jump from 5% to 10% (numbers are just an example). All the GC Skinboxes will have a discount of 10 % during this weekend. 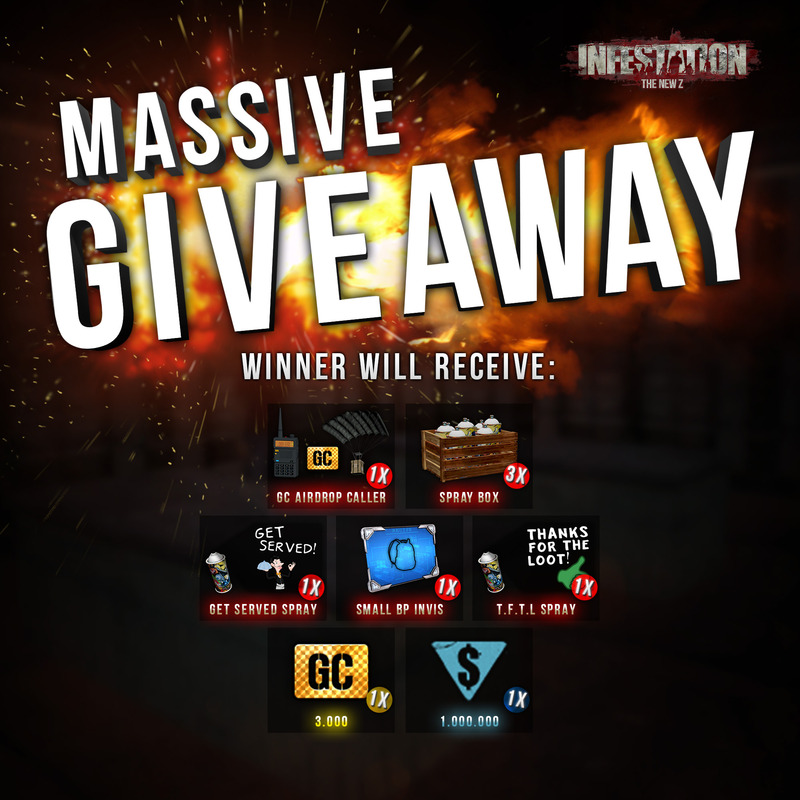 Means every GC Skinbox which you can buy in the in-game marketplace. We wish you all a great weekend! Good luck and happy fragging! We are going to add special loot to Battle Royale and also double the skinbox reward. With special loot we are talking about adding VSS or flah bangs etc everywhere, so you guys can go crazy.